An overview of BCC 10, Boris FX’s collection of effects and transitions for key editorial and compositing software. The firm has just acquired one of its principal rivals: GenArts, developer of the Sapphire plugin collection. Compositing and editorial effects tools developer Boris FX has signed a definitive agreement to acquire one of its key competitors: GenArts, developer of the Sapphire collection of plugins. The deal, financial terms for which have not been disclosed, was announced at IBC 2016. Following the pattern set with Imagineer SystemsThe acquisition continues Boris FX’s recent aggressive growth strategy, which previously resulted in its 2014buyout of Imagineer Systems, developer of the mocha planar tracking system. The mocha technology was subsequently integrated into Boris Continuum Complete (BCC), Boris FX’s flagship collection of effects plugins. The plan this time round seems to be similar: while “Sapphire will continue to be developed and sold in its current form”, the official news release also hints at future product integration. Less straightforward than integrating mocha?Whereas Boris FX and Imagineer Systems shared a user base without producing directly competing technologies, there’s far more overlap this time round. Although there is some market differentiation – Sapphire is higher-priced than BCC and also supports Autodesk tools like Flame – both are collections of effects and transitions for Adobe, Avid and OFX software. 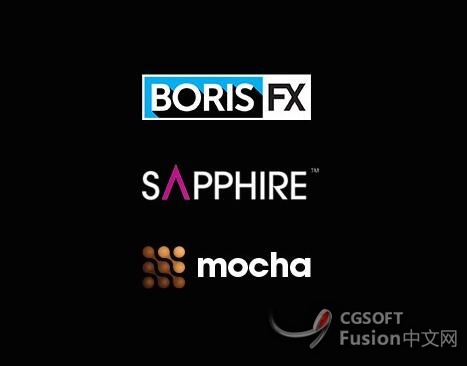 In the long term, it will be interesting to see how Boris FX maintains two competing products under one roof. GMT+8, 2019-4-19 22:52 , Processed in 0.179491 second(s), 47 queries .